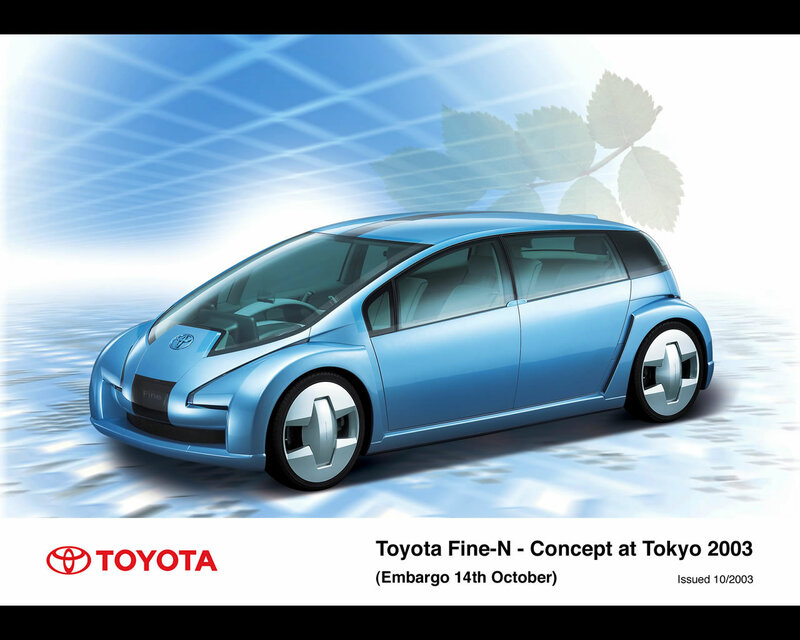 Toyota presented at 2003 Tokyo Motor Show this running concept of Fuel Cell Hybrid sedan, called Toyota Fine-N. This appellation goes for Fuel cell INnovative Emotion - Next generation. 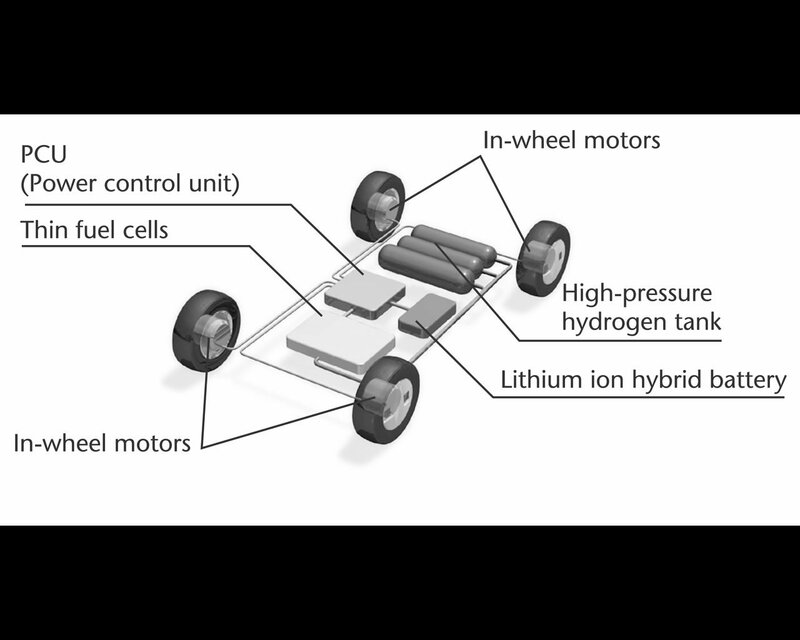 The fuel cell stack, the hydrogen storage, the electric controls and the lithium-ion batteries are placed in the basement of the car. 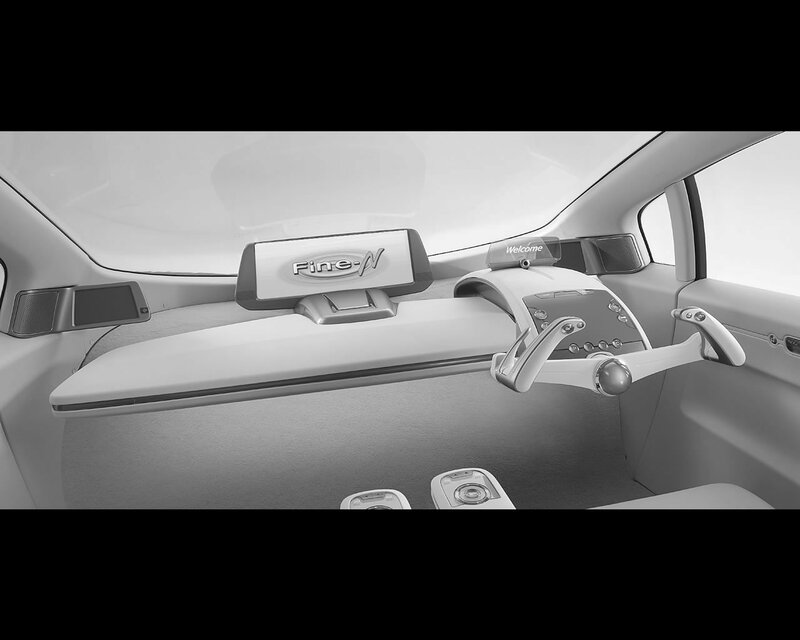 Considering that the electric motors are placed in each wheels and that the commands are by-wire, the concept respond to "cabin on wheels" style where designers have full freedom for arranging the body and interior. This concept responds to Toyota design philosophy called "Vibrant Clarity". It results in an original roomy sedan with wide glass area. The wheels are positioned at the four corners. 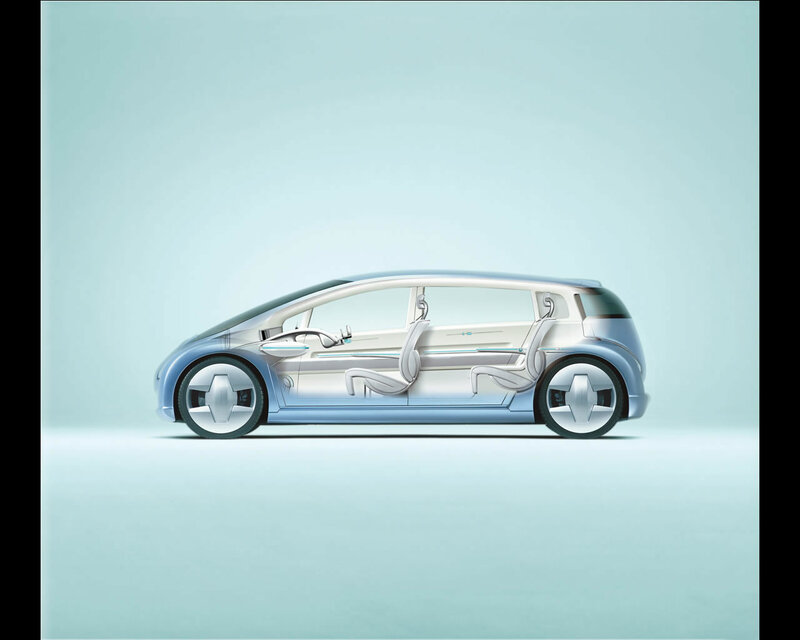 Hydrogen is stored in 700 atmospheres qtorage and the range is claimed for 500 km. Each wheel has its own 25 kW electric motor. lenght 435 cm, width 182 cm, height 149 cm, wheelbase 310 cm.